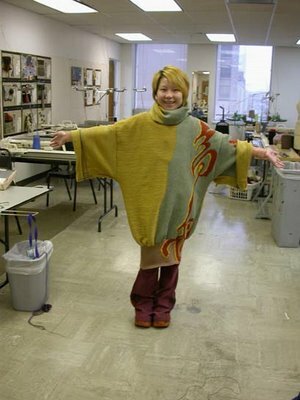 Yan Li Zhu in one of her knitwear designs. 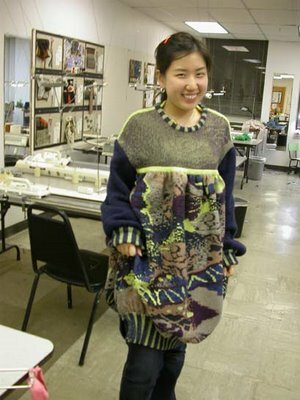 Jiwon Ree in one of her designs. Yan Li Zhu, Olga Mashkova-Henry, Jiwon Ree, and Elieza S. Perez with Jiwon’s collection.